All works of art, photograph, logos, designs and text on this website are the exclusive copyrighted works of Jai Johnson and may not be used without permission and/or payment of valid licensing and usage fees. Any redistribution or reproduction of photography, artwork, or content featured on this site without prior express written authorization of the copyright owner is considered unauthorized usage and is strictly prohibited. If you are interested in using any of the images and/or content on this website in any manner, please contact us to discuss your personal or commercial use project, and we will work with you to come up with a proper licensing agreement to meet your needs and budget, or we will put you in touch with our commercial licensing agent. 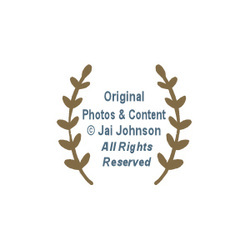 To pay the copyright holder, Jai Johnson, a fee of $5,000 USD for each additional unauthorized use of said image/content. In the event an individual, company or organization using images/content in an unauthorized manner refuses to comply with the above agreement and provide payment of all fees as listed above, legal action will be pursued, with the individual, company, or organization infringing on the artist's copyright fully agreeing to pay all applicable court costs, fines, and attorney's fees associated with said unauthorized use and copyright violation. Any individual, company or organization using any images/content by Jai Johnson from this website or from any of our official licensee websites in an unauthorized manner and in violation of United States Copyright law, hereby agrees to immediate payment of all of the above listed fees, and to fully comply with any additional actions which may be pursued by the copyright holder Jai Johnson in an effort to ensure there will be no future violations.